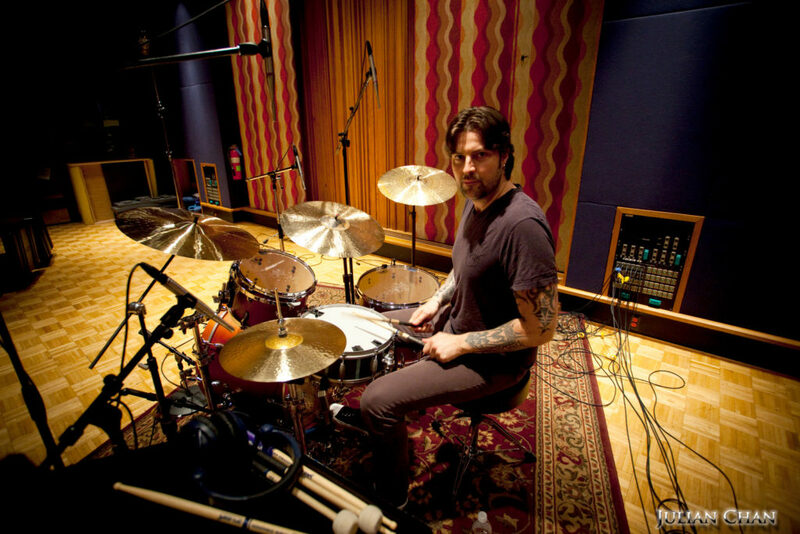 December 7, 2009 – Earthworks, manufacturer of High Definition Microphones™, announced that one of its most recently endorsed artists, Robin DiMaggio, has been selected as the house drummer for one of the latest and most promising entries into late night television: Lopez Tonight. The announcement is the latest in a string of impressive accomplishments by the highly respected drummer, who counts Paul Simon, David Bowie, Diana Ross, Johnny Cash and many others among the artists he has toured with. DiMaggio continues. “Since this is live TV, a microphone has to sound great right out of the gate, versus on a regular TV show where you might have a few weeks or more. These mics perform brilliantly, right from the start.” Michael Beardon, who also served as keyboardist and musical director for Michael Jackson’s “This is It,” asked DiMaggio to handle drumming duties for Lopez’ house band, which includes members of the band that performed in the movie. DiMaggio describes the band as ‘mind blowing’; “It is the best of the best,” he says. For the set of Lopez Tonight, DiMaggio uses one rack tom, two floor toms, a snare, kick, two overheads and a hi-hat. To capture the sounds from his kit, he uses an Earthworks DFK1 Drum FullKit with two of the new SR40 cardioid microphones from Earthworks as overheads. Among DiMaggio’s recent endeavors is Earthsong, a CD compilation of tracks performed by top artists from every country around the world. Under the sponsorship of the United Nations and Humanitad.org, Earthsong is part of a larger effort to save the environment and promote world peace. As the project’s Senior Producer, DiMaggio will be coordinating, “one hundred and ninety two world artists, one hundred and ninety two songs, and seven world-music albums in a united campaign with one world message: no more war.” Most recently, he was re-appointed to the position of Music Director for the United Nations Millennium Development Goals Awards.